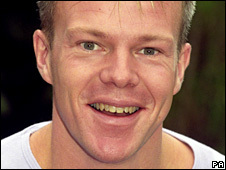 A suicide note was found on the body of children's TV presenter Mark Speight who was found hanged in central London, a coroner's court has heard. Another note was discovered at the 42-year-old's flat in St John's Wood, north-west London. He was found on the roof of a building next to Paddington railway station on Sunday, after his fiancee's death. Inner West London coroner Dr Paul Knapman said there were no suspicious circumstances surrounding the death. At the inquest, British Transport Police confirmed that a post-mortem examination found the cause of death was hanging. A full inquest into his death will open in May. Mr Speight was said to have been devastated by the death of his fiancee Natasha Collins in January. The 31-year-old died after taking cocaine, sleeping tablets and alcohol. She was found with 60% burns from hot water in the bath at the couple's flat. Repeats of Mr Speight's BBC programmes SMart and SMarteenies were suspended following Miss Collins' death and he stepped down from future editions of the show in February. His appearances on the show are unlikely to be shown again, but the BBC has confirmed that a new series of the children's art programme is due to air in the autumn.